Poor Seth Rogen. Getting shut out of his own movie. Is everyone that tired of him already? This Week’s Poll: The weekend’s biggest surprise at the box office was easily World War Z finishing second overall while making a cool $66+ million. After a number of delays, production problems and tepid reviews, the film surpassed most expectations, and there is already talk of a sequel. In honor of the film’s success, let’s take a look back at zombies in film. What are the *two* best zombie movies of all time? Are you a fan of the Romero classics, or do you prefer modern horror-comedies like Shaun of the Dead and Zombieland? Can’t fault you there, Fogs. The man is called the Godfather of Zombies for a reason. I voted for Night of the Living Dead and Shaun of the Dead. The former, though campy, still runs chills down my spine, especially the ending, and the latter makes me laugh pretty hard. Two great picks right there! I watched Night of the Living Dead for the first time a couple years back, and it holds up surprisingly well. I’ve actually never seen the original Dawn of the Dead. I did include it as part of this year’s project, though, so I hope to finally catch it soon. Just looking at that poster of Jonah Hill makes me want to punch Jonah Hill. Two best zombie movies? I love Shaun and the newer stuff, but there IS no Shaun or other stuff without Dawn of and Night of the Living. Dawn of the Dead is just perfect in every way. Hah! 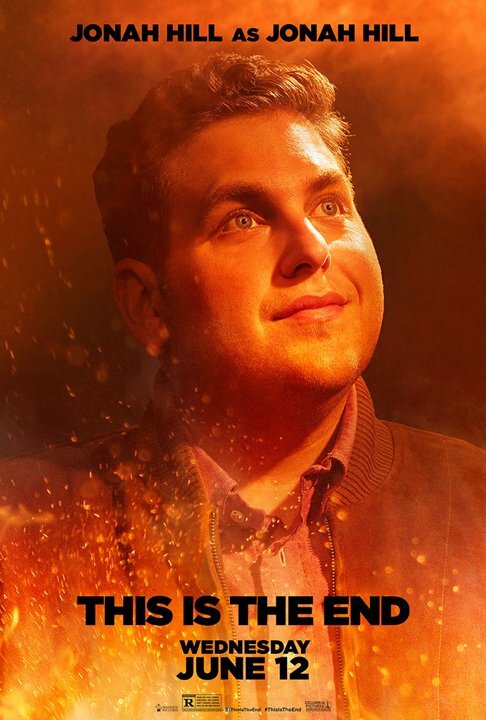 Jonah Hill’s character is especially irritating in This Is the End, but at least he’s doing it on purpose there. And great reasoning on the zombie flicks. Night of the Living Dead surprised the hell out of me when I finally saw it a couple years back — I couldn’t believe how frightening it still is.